Passing the CPA exam isn't enough to start practicing as a CPA. You still need to get licensed. The requirements aren't easy, either. In general, you need at least a bachelor's degree and some degree of experience in public accounting. Each state has their own requirements regarding credit hours, specific classes, and the number of hours of experience that you need. Keep reading to see what your state requires in order for you to become a licensed CPA. 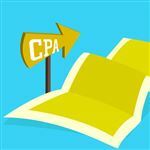 You must first pass the CPA exam, which you can only do if you meet the requirements to do so. This is a requirement across the board in every state. You must satisfy this requirement before you worry about satisfying the licensing requirements. Once you pass the exam, you must prove to your state's board that you have the proper education and experience according to their requirements. Below we break down each state's requirements to help you see what you'll need to become a CPA in your current state or a state you plan to move to in the future. Alabama is a two-tier state. This means you only get a "certificate" when you pass the exam, but that's not enough to practice accounting in Alabama. Once you have the certificate, you must meet the additional requirements to get your permit to operate as an accountant. A bachelor's degree with 150 credit hours completed: You should have a concentration in upper-level accounting courses. You can also have a graduate degree in accounting from an accredited school. One year of experience in public accounting or two years of experience in non-public accounting: You must have your experience verified by a licensed CPA. Pass the AICPA Ethics Exam: You can take the AICPA self-study course and then take the exam, scoring at least a 90% to pass. A bachelor's degree with at least 150 credit hours with a focus in accounting: You should have at least 9 credit hours in business law, economics, and college level math as well. One year of experience in accounting if you don't have an accounting degree: You can still become a CPA even if you didn't major in accounting in school, but you'll need one year of public accounting experience under a licensed CPA to qualify. Pass the AICPA Ethics Exam: You need a score of 90% on the exam to get your license. A bachelor's degree with at least 36 semester hours in accounting: 30 of your credit hours must be in upper-level accounting. You must also have an additional 30 credit hours in related courses, such as business law, finance, computer science, or economics. You'll need at least 2,000 hours of unpaid work experience in the accounting field: You can gain this experience either before or after taking the CPA exam. The experience can be full-time, part-time, or an internship. Pass the AICPA Ethics Exam: You must take the AICPA Ethics course and pass the exam with at least a 90%. A bachelor's degree with 150 credit hours You must have at least 30 hours in upper-level accounting. You can satisfy the requirement with 20 hours of graduate level accounting. You'll also need 30 credit hours in business-related courses. You need a bachelor's degree with at least 150 credit hours: You'll need at least 24 credit hours in business-related topics, 20 semester hours in accounting, and 10 hours in ethics. At least one year of experience working in accounting: You can gain your experience in the public, private, government, or private industry sector. If you obtained your experience more than 5 years ago and sat for the CPA exam more than 5 years ago, you'll need 80 hours of continuing education to apply for your license. Applicants must also pass the ethics exam and pass a fingerprint background check: You'll need a 90% to pass the test. The state of Colorado requires CPA license applicants to pass the "4 E"s.
Education: You must meet the education requirements to take the CPA exam, which requires a bachelor degree with at least 120 credit hours. At least 27 of those hours must be in accounting (21 of the 27 hours must be in upper-level accounting). Exam: You must pass all four sections of the CPA exam. Ethics: You must pass the AICPA Ethics Exam. Experience: You need at least one year of experience in public accounting working under the direct supervision of a licensed CPA. You need a bachelor's degree with at least 150 semester hours: You need 36 hours in accounting, 30 hours in economics or business administration, 60 hours in general education courses, and the final 24 hours in courses of your choice. You need 2 years of experience or 104 weeks working in an accounting field: If you took the CPA exam prior to January 1, 2000, you need 3 years or 156 weeks of experience. The experience cannot be older than 10 years old. You must pass the AICPA Ethics Exam: You need a score of 90% or higher to pass. A bachelor's degree with at least 120 credit hours: 24 of those hours must include accounting as well as a financial accounting, auditing, and taxation course. Proof that you passed the AICPA Ethics Exam: You need a score of 90% to pass. Bachelor's degree with 150 credit hours: A minimum of three credit hours must be in commercial law and a minimum of 24 credit hours must be obtained in accounting, which includes Financial Accounting, Cost Accounting, Auditing, and Federal Income Taxes. One year of experience working in accounting: Your employment can be full-time or part-time, as long as you work at least 2,000 hours within a 3-year period. One year of work experience: Your work experience can't start until you've met the requirements to sit for the CPA exam. You must work under a licensed CPA. You must have a bachelor's degree with at least 150 credit hours: You need 30 hours in upper-level accounting courses, including Auditing, Taxation, Cost/Managerial, and Financial. You also need 36 credit hours in general business courses, with at least three hours in business law. Have a bachelor's degree with at least 150 credit hours: 30 of those semester hours must be in upper-level accounting. You must also have 24 credit hours in other business-related topics. You need one year of experience: Your experience must be under the supervision of a licensed CPA with at least 2,000 hours worked. The experience can't be more than one year prior to the date of your licensure application. A bachelor's degree with at least 150 semester hours: 24 credit hours must be in upper-level accounting courses and another 24 hours must be in upper-level business courses. Work experience: You need at least 1,500 billable hours working in auditing in the public accounting sector or two years in a public, private, government, or education sector, working as an accountant. You must work full-time and under the supervision of a CPA. You need four hours of ethics education: In Hawaii, they call it continuing education or Continuing Professional Education (CPE). Bachelor's degree with 150 credit hours: You'll need at least 24 hours in accounting if you are an undergraduate or 15 credit hours at the graduate level. Course requirements include auditing, taxation, management accounting, and financial accounting. You need another 24 hours in business-related courses too. One year of public accounting experience: You can work part-time or full-time over a period of at least 12 months, but no more than 3 years to work your minimum 2,000 hours. Bachelor's degree with at least 150 credit hours: You can also have a graduate degree in accounting or business. You need at least 24 hours of accounting at either level and 24 credit hours of business courses. One year of work experience: Your work experience cannot begin until after you pass the CPA exam. You must work under a licensed CPA. You must pass the AICPA Ethics Exam: You can take the course as a self-study course with the exam at the end of the course. A bachelor or graduate degree with at least 150 credit hours: At least 24 hours must be upper-level accounting courses and another 24 hours must be general business courses. The accounting courses must include auditing, taxation, financial accounting, and managerial accounting. You must also have at least six hours in economics and six hours in computer science. Two years of work experience: A licensed CPA must verify your work experience in accounting. Have 150 hours of college credit hours: You can have a bachelor's or graduate degree in accounting. You need at least 24 credit hours in accounting and 24 hours in general business courses. Your accounting courses should include auditing, taxation, financial accounting, and management accounting. One year of work experience: You need at least 2,000 hours in public or non-public accounting work. A licensed CPA must verify the work. Teaching college level accounting for at least 24 hours also counts. If you work part-time, you must meet the 2,000-hour requirement within 3 years. Pass the AICPA Ethics Exam: You take the course as a self-study course and must have a passing grade on the exam. Bachelor's or graduate degree: You'll need 42 credit hours of general or business education courses; 30 hours of accounting courses; and 11 hours of oral and written communication courses. Pass the AICPA Ethics Exam: After passing the exam, satisfying the education requirement and passing the ethics exam, you are eligible for your CPA certificate. One year of work experience: In order to get your permit to practice, you need at least one year of work experience verified by a licensed CPA. The work can be full-time or part-time. Complete 150 college credit hours: You'll need at least 27 hours in accounting and 12 hours in general business courses. You need 1 year of work experience: You'll need at least 2,000 hours in the public or non-public accounting sector. The work must be verified by a CPA. Teaching accounting at the college level for at least 24 credit hours also counts. Complete 150 credit hours at the undergraduate or graduate level: This includes 24 hours in accounting, 24 hours in business, and 3 hours in business law. One year of work experience: You need at least 2,000 hours working under a licensed CPA. You may work full-time or part-time, but must complete the requirement in less than four years. 150 credit hours at the undergraduate or graduate level: At least 15 of those hours must be in accounting and at least three hours must be in auditing. Two years of work experience: You must have two years of work experience under the direction of a licensed CPA. The work experience must include both accounting and auditing work. At least 400 hours must be in auditing and 200 in advisory services. You may work part-time as well. 173 hours equals one month of experience. 150 credit hours at the graduate or undergraduate level: At least 30 hours must be in accounting with one course in auditing, cost accounting, managerial accounting, taxes, and ethics. You must also have 21 credit hours in general business courses, including statistics, economics, and management. One year of work experience: You need at least 2,000 hours of work verified by a CPA. You must complete your work experience within 3 years of passing the CPA exam. Pass the AICPA Ethics Exam: You need a passing score on the exam for this self-study course. 150 credit hours: You can obtain these hours as a graduate or undergraduate student. As an undergraduate, you need 30 hours of accounting courses. A graduate student needs 18 hours of accounting. Work experience: You need at least one year of accounting experience in the public sector or three years in the private sector. All work must be under the supervision of a licensed CPA. 150 credit hours at the graduate or undergraduate level: At least 24 of those credit hours must be in accounting, with one course in auditing, taxation, government accounting, managerial accounting, and financial accounting. You must also have 24 credit hours in general business courses. One year of work experience: You must work at least 2,000 hours with verification by a licensed CPA. You can work in public or private accounting. Graduate or undergraduate degree: You can have a graduate degree in accounting or business. If your graduate degree is in business, you need at least 24 hours in undergraduate accounting and 15 hours in graduate accounting. If you have an undergraduate degree in accounting, you need 24 hours in accounting and 24 hours in general business courses. You need a total of 150 credit hours. One year of relevant experience: You must get your experience verified by a licensed CPA in the state of Minnesota. Pass the AICPA Ethics Exam: You must get a passing score on this self-study course. Bachelor's degree or higher: You must have at least 150 credit hours at an accredited school. At least 48 of those hours must be in upper-level accounting or business courses. You must take at least one auditing, taxation, managerial accounting, and government (nonprofit) accounting course too. One year of work experience: Your work experience must be verified by a licensed CPA. Pass the AICPA Ethics Exam: You must prove a passing score on this exam after taking the self-study course. Have 150 credit hours of college courses: You must have a bachelor's degree or higher with at least 33 hours in accounting. At least 18 of those hours must be in upper-level accounting. You must also have one course in auditing and 27 hours in general business. Have 2,000 hours of work experience: You can work part-time or full-time, but you cannot fulfill the 2,000-hour requirement in less than 12 months. You must pass the CPA Ethics Exam: You must prove a passing score on this self-study course's exam. 150 semester hours at the graduate or undergraduate level: You need at least 24 hours in accounting, auditing, and tax. You also need 18 hours in business-related courses but no more than 6 hours in each type of course. One year of continuous accounting experience: You must work at least 2,000 hours and the experience must be within 3 years of your application for your CPA license. All work must be verified by a licensed CPA. You must pass the AICPA Ethics Exam: You take this course separate from any other accounting courses. You must prove a passing grade to get your license. You get your certificate after passing the CPA exam, fulfilling the education requirement, and passing the AICPA Ethics exam. You can then apply for your permit once you fulfill the experience requirement. Have 150 credit hours at the graduate or undergraduate level: Technically, you need these hours to sit for the CPA exam in Nebraska. There are no additional educational requirements to get your license. Pass the CPA exam: You must pass all four sections of the CPA exam. Pass the AICPA Ethics Exam: You must also pass the Ethics exam, which is a self-study program. Have 2 years of working experience: You need a total of 4,000 hours working under a licensed CPA in Nebraska at a public accounting firm. You can then apply for your permit to work as a CPA in Nebraska. A bachelor degree or higher: You need at least 150 credit hours with 30 hours in upper-level accounting courses. You also need 9 hours in financial accounting; 3 hours in cost accounting; 3 hours in auditing; 3 hours in federal income tax; and 12 hours in accounting electives. You also need 3 hours in business law and 24 hours in general business. You need 2 - 4 years of experience: You need 2 years of experience if you work full-time in public accounting and 4 years of experience if you work in government or industry accounting. Proof that you passed the Ethics Exam: You must have passed the exam within the last 3 years in order for it to count. Have 150 credit hours of graduate or undergraduate courses: At least 30 of those hours must be in accounting. An additional 24 hours should be in general business courses. You need at least one year of experience: If you have a master's degree, you only need one year of experience. If you have an undergraduate degree, you need two years of experience. You should work under the direct supervision of a licensed CPA and perform auditing, management advisory, consultation, and tax advisory services, at a minimum. 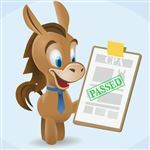 You must pass the Ethics exam: You must take the self-study course and prove that you have a passing score on the exam. Have a bachelor or graduate degree: You need at least 150 credit hours with a minimum of 30 hours in accounting and 24 hours in other business courses. Have one year of public accounting experience: You must be supervised by a licensed CPA and work at least 1,750 hours total within a 2-year period. Pass the Ethics Exam: You must take and pass the AICPA Ethics Exam. At least a bachelor's degree with 150 credit hours: At least 30 of your credit hours must be in accounting. At least one year of experience: You'll need to clock one year of experience under the direct supervision of a licensed CPA. Pass the Ethics Exam: You must take the AICPA self-study Ethics course and pass the exam with a 90%. Have 150 credit hours as a graduate or undergraduate: You must have at least 33 hours in accounting including cost accounting, financing accounting, audit, taxation, and accounting research. You must also have 36 hours in general business courses. One year of experience: You must work for at least one year as an accountant and have the experience verified by a licensed CPA. Have at least 150 credit hours as a graduate or undergraduate: Your focus should be on accounting, with at least 24 hours in accounting courses. Your courses should also include communications, computer technology, ethics, finance, management, business law, statistics, and humanities/social science. Experience working in the accounting field: You can work for one year under the direct supervision of a public CPA to satisfy the requirement. You may also teach college-level accounting for four years or have four years of experience in any other aspect of accounting. Take the North Carolina Accountancy Statues and Rules course: This eight-hour course must be taken within one year of applying for your CPA license. Have a bachelor's or master's degree with 150 credit hours: The concentration should be on accounting and business-related courses. Have proof of one year of applicable experience: Your accounting experience must be verified by a licensed CPA in North Dakota. Pass the AICPA Ethics Exam: You must take the self-study course and get a grade of 90% or above on the exam. A bachelor or master's degree: You should have at least 150 credit hours with at least 30 hours in accounting, and with at least one course in financial accounting, auditing, taxation, and ethics. Have experience working in accounting: You'll need a professional CPA to verify your work in public or non-public accounting. Take and pass the Ohio Professional Standards and Responsibilities Course: You must take this course no more than one year prior to applying for your certificate. 150 credit hours: Of the 150 hours, at least 76 hours must be upper-level hours with 30 hours in accounting. You must take one auditing course and have 9 hours in economics, statistics, marketing, business management, insurance, or risk management. Prove at least 1,800 hours of work experience: You must obtain the experience within four years of applying for your certificate. Pass the AICPA Ethics Exam: All levels must pass the Ethics exam with a score of at least 90%. At least a bachelor's degree: You must complete at least 150 hours with at least 24 hours in accounting and another 24 hours in business courses. One year of experience: You'll need at least one year of experience working as an accountant. Your work must be verified by a CPA who has had his/her license for at least five years. You can work part-time to gain your experience, but it must be a minimum of 20 hours. Pass the AICPA Ethics Exam: You must take the AICPA self-study course and pass the exam with at least a 90%. You need at least 150 credit hours as an undergraduate or graduate: Within those 150 hours, you need at least 24 hours in accounting. This includes auditing, business law, taxation, and finance. You need at least one year of work experience: You can get your experience in the public or private accounting sector, but you must work directly under a licensed CPA. Have at least 150 credit hours from an accredited college: You can earn these hours as an undergraduate or graduate. You should have at least 24 hours of accounting at the undergraduate level and 15 as a graduate (if applicable). You must have at least six hours in fundamental and intermediate financial accounting. You must also have three hours in advanced financial accounting, tax and auditing. Finally, you must have at least three hours in business law. Have at least one year of experience: You need to accumulate at least 1,820 hours and work directly under the supervision of a licensed CPA. Pass the AICPA Ethics Exam: You must take and pass the exam with at least a 90%. At least a bachelor's degree with 150 credit hours: You must have at least 36 hours of business courses and 36 hours of accounting courses, with at least 24 hours at the upper level. You must also take financial/intermediate accounting, cost accounting, tax course, audit course. At least one year of experience in public accounting: If you work part-time, you'll need at least 2,000 hours to fulfill the requirement. Pass the AICPA Ethics Exam: You must take the self-study course and pass the exam with at least a 90%. 150 credit hours with at least a bachelor's degree: You need at least 24 of those hours to be in accounting and another 24 hours in business. At least 2,000 hours of experience in public accounting: You must complete the experience requirement within 3 years of passing the CPA exam. Your experience must be verified by a licensed CPA. Pass the AICPA Ethics Exam: You need to take the self-study course and get at least a 90% on the exam. Have at least 150 credit hours as a graduate or undergraduate: Of those 150 hours, 30 hours must be in accounting, with at least 24 hours in upper-level accounting. You must also have another 24 hours in business courses. Have at least one year of qualified experience in accounting: You need at least 2,000 hours completed within no less than one year and no more than three years. You can practice accounting in public, industry, government, or educational accounting. Pass the AICPA Ethics Exam: You need a score of at least 90% on the Ethics exam to get your license. Have at least 150 credit hours from an accredited university: You'll need at least 30 hours in accounting, 21 hours in business-related courses, and 3 hours in an ethics course. One year of work experience: Ideally, you could work full-time for one year to satisfy the requirement. If you work part-time, you may still qualify, but you'll need to accumulate 2,000 hours within 3 years in order for it to count. Attend an ethics course given by the Texas State Board: The course is four hours long and includes an exam on which you must score an 85% or higher in order to pass. Have a degree in accounting or business-related degree: If you have a master's in accounting, you satisfy the requirement. If you have a master's degree in anything but accounting, you need at least 24 hours in accounting and 15 hours in financial and tax accounting. If you have an undergraduate degree, you need a combination of 24 hours in upper-level accounting courses, 12 hours in upper-level business courses and 12 hours in graduate business courses. One year of work experience: You can work in public or private accounting, but you need at least 2,000 hours worked. Pass the AICPA Ethics Exam: You need at least a 90% on the self-study course and exam. A bachelor's degree with at least 150 credit hoursYou need at least 42 semester hours in accounting and business courses within those 150 hours. At least one year of experience in accountingYou can get your experience either before or after you sit for the exam. You have a 4-year window on either side of the exam. You must work directly under a licensed CPA. Take 8 hours of ethics courses and pass an examYou can take the AICPA Ethics course/exam or any other qualified ethics course that offers at least 8 hours of continuing education. A bachelor's degree or higher with at least 150 credit hoursYour courses must have a concentration in accounting. The Virginia Board of Accountancy recommends that at least some of your accounting courses are at the graduate level. Work at least 2,080 hours in accounting:This is the equivalent of one year of full-time employment. You cannot use self-employment to satisfy this requirement. You must complete an Experience Verification form to get your experience to count. Take the AICPA Ethics exam and courseYou must have proof that you've passed the ethics exam to get your license. A bachelor's degree or higher with at least 150 hours: At least 24 semester hours must be in accounting with at least 15 of those hours at the upper-level or graduate level. You should also have at least 24 hours in business administration. At least 12 months (2,000 hours) of accounting work: You must obtain your accounting experience no more than 8 years before you take the CPA exam. You must work in either public, industry, or government accounting. All work must be verified by a licensed CPA. Pass the AICPA exam: You need a score of 90% or better to pass the AICPA exam after taking the 8 hour AICPA ethics course. Take the necessary CPE (continuing education courses): If you passed your CPA exam more than four years ago, you'll need the proper Continuing Education courses before you can get your license. Obtain at least your bachelor's degree with 150 semester hours: You'll need at least 27 hours in accounting, 27 hours in business related courses, 6 hours in business law, and 3 hours in ethics. Work full-time for at least one year in accounting: A licensed CPA must verify the work. The experience must be no more than four years prior to applying for your license. Earn 150 credit hours with at least a bachelor's degree: At least 24 hours must be in the accounting field including financial, auditing, and taxation. You must also have 24 hours in business administration courses. Have one year or 2,000 hours of accounting experience: You must work in public accounting or an equivalent. You must also work under the supervision of a licensed CPA. Pass the AICPA Ethics Exam: After taking the 8-hour AICPA course, you must pass the AICPA exam with at least a 90%. Have at least 150 credit hours with a bachelor or master's degree: At least 24 hours must be focused on accounting at the upper or graduate level. You must also have 24 hours in business administration courses. Work at least one-year under a licensed CPA: Your experience must be within the last five years and you must work at least 2,000 hours. You may also work part-time, but must meet the hour requirement. Your experience must include auditing, taxation, financial and management accounting. Pass the AICPA Ethics Exam: You must be able to prove that you passed the ethics exam with at least a 90% score. Each state has its own requirements, but they all have the same general idea. You need 150 credit hours, which is an undergraduate degree plus 30 hours. In some states, you must take specific courses in order to qualify. Most states also want some type of experience before you become licensed. Make sure you check with your state board before you apply to ensure the requirements remain unchanged. 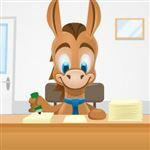 Leave a comment about CPA License Requirements? Share on Facebook "CPA License Requirements"